Providing accurate technologically advanced information and appropriate recommendations while maintaining our professional and ethical responsibilities. Working with contractors on a daily basis, we understand the needs and scheduling of our clients. It is made better regularly with constant communication between on site superintendants, project managers, and the surveyors. We all understand time is money. Our team leaders are experienced and understand the importance of attention to detail on each and every project. Our philosophy is no stone goes unturned, unless of course it's a property corner! From the field to the office, our professionals can do it all. This means an absolute understanding of how field work turns into a finished survey. 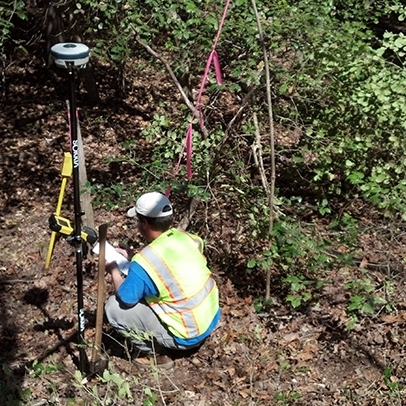 Each survey is checked by a licensed surveyor and the field crew before it is complete. We aim to meet and exceed all of your surveying needs. Our services range from simple residential boundary surveys to engineering and commercial site surveying. Feel free to browse our project page for examples of our work. We more than welcome any questions you may have. A list of professional references is available upon request.